Sri Lanka head coach Marvan Atapattu has said that the tour of New Zealand was always going to be a challenge for his team, but welcomed it as a timely one that will help them prepare for the World Cup. "Touring New Zealand is always going to be a challenge with the weather and the wickets. It is up to us to adapt and to be at our best. It's a challenge for us like all other teams coming to Sri Lanka," said Atapattu ahead of Sri Lanka's two-day warm-up match against a New Zealand XI. "It's a timely tour though and it's a great opportunity for us to experience and have some game time in those conditions." Sri Lanka play three of their six World Cup group matches in New Zealand, with the remaining three in Australia. Atapattu said Sri Lanka will make use of the two Tests to find a suitable opening partner for Tillakaratne Dilshan for the World Cup. In the recent past Upul Tharanga and Kusal Perera have been tried out in that position without much success. Sri Lanka have Mahela Jayawardene as an option, but they are still keen to find a regular opener failing which they will settle for a make-shift one. "We were thinking of having a specialised opener, especially with this two balls thing, in New Zealand," Atapattu said. 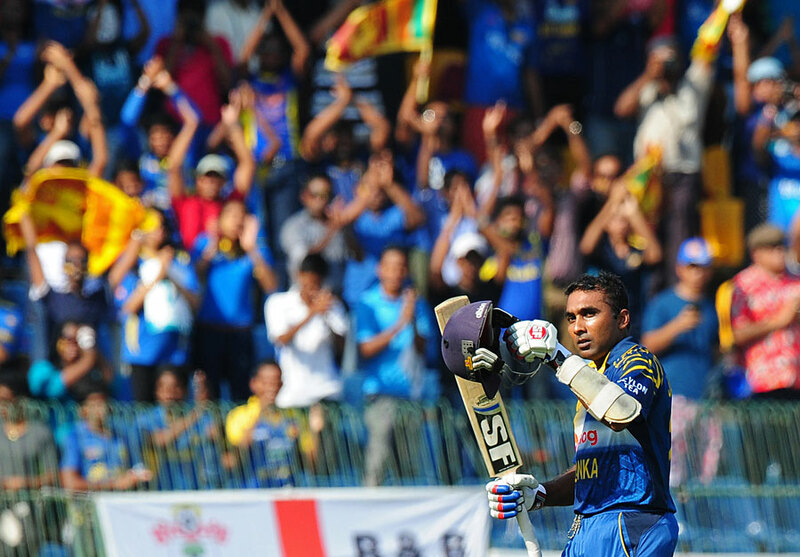 "We had a very settled middle-order before Mahela opened in the last two games against England. We were trying to give it a chance. Along with the selection committee we had long discussions to have somebody else, so that we don't disturb the middle-order. "But there came a time we wanted to see Mahela. He was fantastic; although he didn't make big runs the little time that he spent showed that he was well equipped. Mahela could bat anywhere at any given stage and his figures will tell you that. "It's always an option. Depending on the surface and on the runs we'll have to chase and the opposition, Mahela can come and open at any time. If all goes well, certainly Mahela's option would be there but we have at least one Test match to decide whom we want in our squad. It could be an opener or a middle-order batsman." The deadline for teams to finalise their 15 for the World Cup is around January 8, and although Sri Lanka has time to squeeze in the two Tests prior to that date, they are not leaving their decision till the end - the last Test is scheduled to end in Wellington on January 7. The first Test begins on Boxing Day in Christchurch, the venue where Sri Lanka will open their World Cup campaign, against New Zealand, on February 14. Dimuth Karunaratne and Kaushal Silva are Sri Lanka's regular Test openers. Either one of them could be in the running for a World Cup spot depending on their performance. Karunaratne was named in Sri Lanka's squad of 15 for the sixth and seventh ODIs against England, although he didn't make it to the final XI. The New Zealand Test series will be the first Sri Lanka will be playing following the retirement of former captain Jayawardene from Test cricket in August. His position at No. 4 will in all probability go to Lahiru Thirimanne, who filled that slot when Jayawardene was forced to miss the two Tests against Bangladesh in March 2013 with a finger injury. Thirimanne made full use of that opportunity to score his maiden Test hundred - 155 not out in Galle. Left-arm spinner Rangana Herath, whose presence in the Test series is doubtful, Kumar Sangakkara and Prasanna Jayawardene are the only three players in the Test team with any previous experience of playing in New Zealand. The focus, though, remains on the one-day series. "We'll stick to our plans in finding the 15 that we want for the World Cup," Atapattu said. "Winning games will always help our plans but we have passed the stage where we've tried everybody and we have pruned our squad down to 30. In the 30 we know whom we want in our 15 except for one or two places which we hope to fill during the Test series. "The main task would be to manage players and get them to peak at the right time, which is February 14. We have named a squad of 30 and we have had a plan along with the selection committee. Although we had a very bad series in India, the boys have shown how they can bounce back and we have stuck to our plans, which is the greatest thing. The seven matches we played against England with 17 players, that obviously tells you that we have not gone haywire with our plans. "The Indian tour was a disaster nobody wanted that result, the easiest thing we could have done is play low and go through the motions. But we understood there was a point to prove especially in home conditions and that we were up for it. I saw within the camp the level of interest, motivation and morale was always high. We played our best cricket in the final ODI in India and we continued with that in the home series against England."